Once a year, Southern Auto Group gets all demonstrators and service loaners that are in great condition and passes the savings on to you! Now's your chance to get a great deal during our Demo Days through Memorial Day. Get all the benefits of a new car at a lower price! This offer will not last long, so hurry into Southern Auto Group today. Huge Savings up to $12,000 OFF! Don't miss your opportunity to get up to 30% off MSRP a car of your dreams. 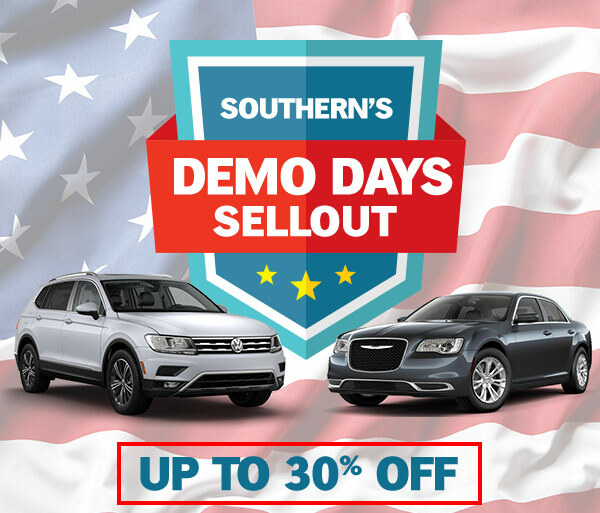 Visit Southern Auto Group today during the Demo Days Sellout. PRICES PLUS TAX, TAG, TITLE AND DEALER FEES. SEE DEALER FOR COMPLETE DETAILS.